Decal from "The Nugget Shop" of Juneau, Alaska. Found in "The Harvest" by Mrs. Humpry Ward. Published by Dodd, Mead, 1920. 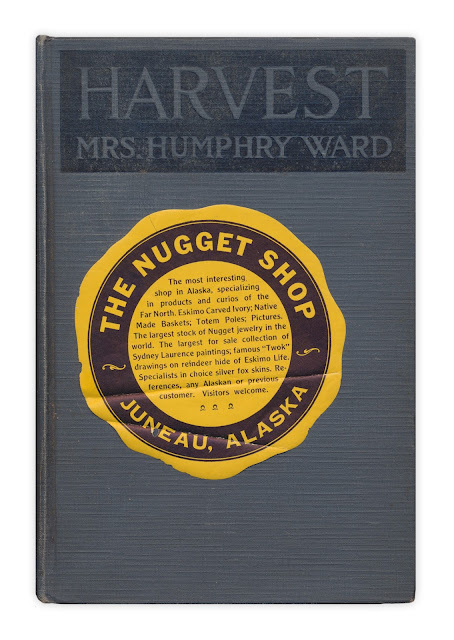 Gone now, but I remember the Nugget Shop from my years growing up in Juneau.